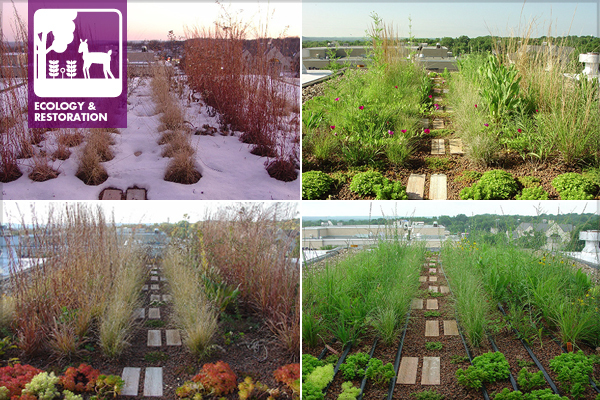 This collaborative research effort is expected to help guide future plans, designs, and management activities for green roofs and other green infrastructure within the Flint Hills Tallgrass Prairie Eco-region, across the Central Plains, and elsewhere. The presentation highlights the vital role of prairie-like green roofs and other types of green infrastructure—as well as native or planted prairies, savannas, woodlands, wetlands, and other ecosystems—to create integrated open space networks that support a wide-range of services and functions for people, for other creatures, and for the health of the planet. A recording of the presentation may be viewed online. 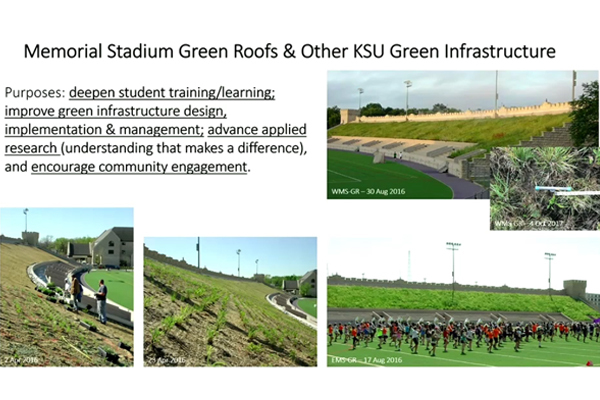 For more information—including on the CitiesAlive presentation discussed in the presentation, “Towards characterizing green roof vegetation using color-infrared and thermal sensors, ” and other resources—see the K-State Green Roofs webpage. Lee R. Skabelund, PLA, ASLA, is an Associate Professor in the Department of Landscape Architecture and Regional & Community Planning at Kansas State University’s College of Architecture, Planning and Design.